We cannot thank you enough for all of your support, dedication, assistance and good cheer this holiday season. We had a record breaking Christmas; in only 21 days, approximately 200 Elves answered over 22,000 letters. 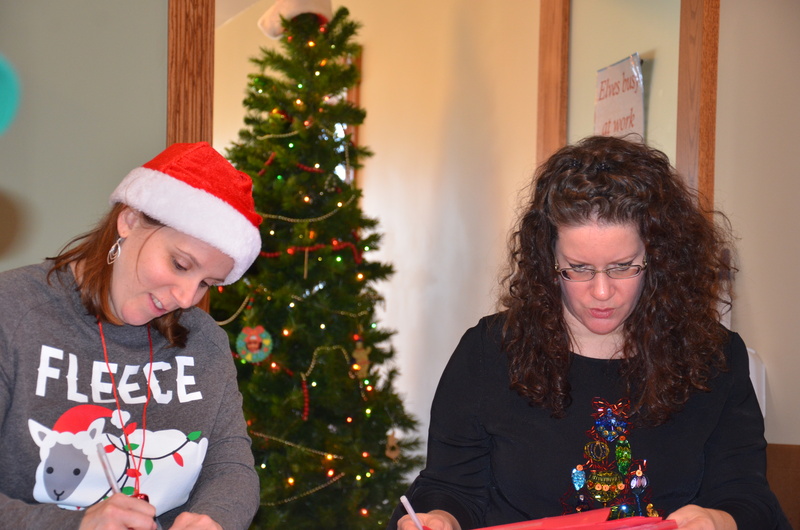 We benefited from the knowledge of our veteran Elves and we were thrilled to welcome many new Elves. As anticipated, the letters flooded in from all over the world. Most letters were brimming with Christmas wish lists (puppies and hover boards were all the rage this year). Some were full of questions (“how do you eat cookies from all around the world without having major intestine issues?”) while others showed compassion for others (“I hope you will bring me my drum set. But if you cannot, that’s ok. I know the world is messed up right now and you have to give the cool gifts to the kids that really need some happiness.”) As always, these Christmas missives brought lots of laughter and even a few tears. We know that Christmas is an incredibly busy time of year. The demands of preparing for the holidays, in addition to the daily responsibilities of work and family, can be overwhelming. Yet you found the time to help Santa. You helped us pick up the mail, open the letters, read through the wishes and questions, compose a response, place the stamps, and hand cancel every letter with the unique Santa Claus postmark. It was a monumental task and you worked up to the last minute. But thanks to your hard work, each and every letter received by the deadline got a response. Thank you Elves. The Museum will reopen to the public in May 2016 and I hope you will stop by and say “hello.” And remember: Christmas is only 341 days away. Plenty of time to rest and recover prior to taking up those elf hats again next year! Who knew scented candles could be so dangerous? © Copyright 2019 Santa Claus Museum in Santa Claus Indiana.